Last summer, while my foster dog was meandering about the yard, I took a few moments to pick some tomatoes from our garden. To my surprise, he followed me over and decided to pick a few of his own! He plucked one right off the plant and continued on to the next. Until that moment, it had never occurred to me that he even liked tomatoes. 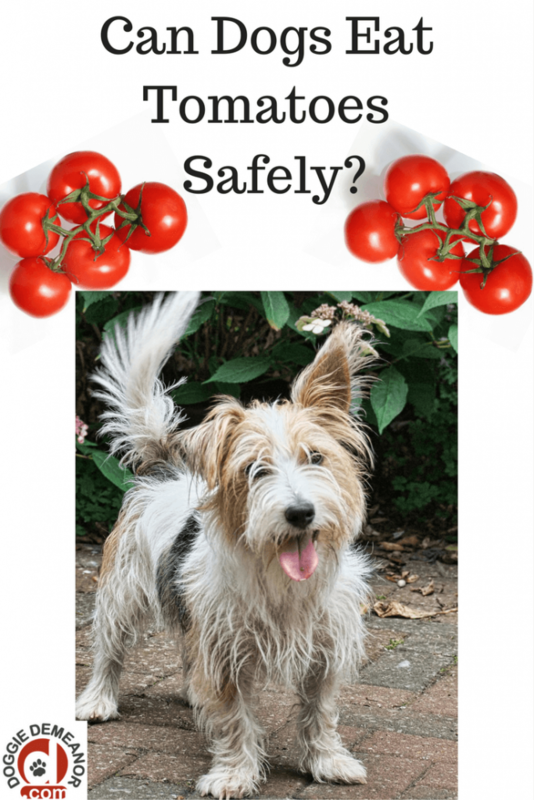 Can dogs eat tomatoes safely, I wondered? Quite honestly, that was one food item I wasn’t sure about. So, naturally, I did some digging and this is the simplified version of what I found out. The quick answer is yes, but ONLY if we are talking about a red, ripened tomato. The rest of the plant, such as the leaves, stem, or unripe green tomato is debatable. Although for years the green parts have been said to be toxic to both people and animals there seems to be little evidence to support this, and many people challenging these claims. 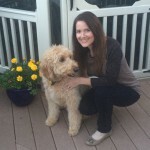 There are few resources, or studies, done on the toxicity of the greens of the tomato plant and its effects on animals, and what I did find was very conflicting. Furthermore, most of it pertained to people, livestock, or lab animals, not specifically to dogs. And, while one source may suggest that the greens are toxic, the next will say nope, it’s really just a myth. 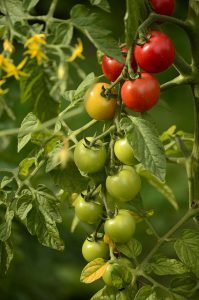 Solanine and tomatine are the components found amongst the stem, leaves, and unripe, green tomato that are cited as being poisonous. As a green tomato becomes ripe, these components significantly lessen which is why the red tomato has never received a bad rap. 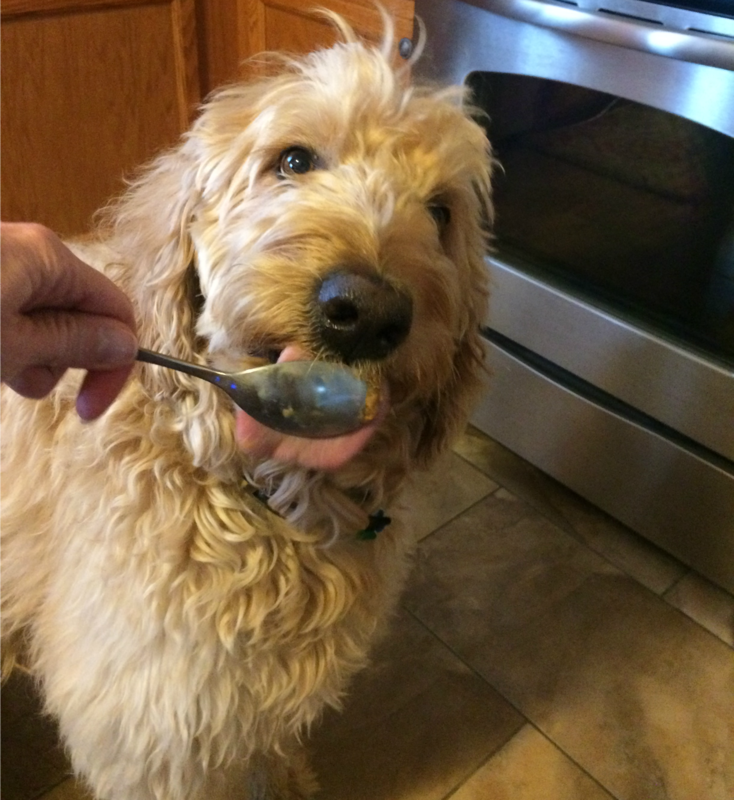 In fact, just the opposite, since tomatoes are considered quite healthy to the human diet (although tomatoes don’t necessarily contain nutrients crucial to the dog’s diet). And, although tomatine can be toxic to the heart, a 2000 study by Dr. Friedman reported that when ingested by lab animals it was poorly absorbed and, therefore, passed through the animals leaving them unharmed. When referring to tomatine, The Pet Poison Helpline indicates on their website that there may be clinical signs such as gastrointestinal irritation, ataxia, and weakness should stems, leaves and unripe tomatoes be ingested. But, that most dogs don’t ingest enough tomato plants to cause a problem. They go on further to say that the solanine found in the greens of the plant rarely results in toxicity in dogs, and would only do so in large quantities. They also confirm that the ripened tomato is considered non-toxic. Although the greens on a tomato plant probably are not quite the culprit they were once thought to be, for now, I’m playing it safe and keeping my dogs away from them. Leaves, stems, and unripe tomatoes although perhaps okay in small amounts, clearly are not the best choice for our pets. In addition, when considering the small size of my foster dog (just 5 lbs), and how little it would take to negatively affect him…well, let’s just say I don’t care to take any chances. But, lucky for him, in the future when he wants to pluck a ripe tomato out of the garden, I’ll gladly be granting him my permission!